The problem of shipping container tracking resulted from the use of various means of transporting goods across a great area of distribution and especially from the large number of shipping units employed. Their route, the history of transshipping, stops and deliveries have to be registered to keep a coherent record of their status and time of loading and unloading. Imagine that a single ship can pass through more than ten terminals, carrying millions of containers at once that are to be replaced by others at the next “stop”. For instance, such a ship starts from a port in Asia with a cargo consisting of electronic devices, sails towards Indonesia where it is loaded with spices, goes further to the African continent, picking up other type of cargo, passes through a series of European ports for some more freight and fuel and heads for America, where the containers are to be unloaded. Well, there are thousands of such ships packed with goods every day. Among the innumerable containers shipped, it is likely to be one with questionable contents. So, during the ship's voyage, every container has to “pass” the inspection test in order to reach its destination. Keeping track of them prevents the occurrence of dangerous situations as, for instance, the one when a container comprised materials needed for a bomb attack over U.S embassies in Tanzania and Kenya. To detect all suspect containers, the customs agent needs a lot of time. But not too long as a very extended examination can have negative effects. Delaying a delivery can bring considerable losses to the shipping company, cause deterioration of the goods and dramatically affect the world's economy. Consequently, various mechanisms have been devised to help monitoring the containers and to keep their“journey log”. One of these gadgets is MATTS- the DHS S& T's device for tracking containers on sea. It looks like a small black box that functions as a sensor, a computer that registers data, radio transceiver, and GPS tracking system. This tracking device is attached to a shipping container and it works even when the GPS signal is lost thanks to its own on-board GPS chip, which estimates the location of the container. The system has been improved so that it can send data despite its location deep below the deck of the ship, the signal “finding its way” through the shipping units. Moreover, the “black box” of shipping containers has the ability to record and deposit data while without signal, and to send it when in range of a processing point (a container terminal, a cell phone tower or a ship equipped with Internet services). This way, the authorities can examine the log of the container anytime, tracing any irregularities involved in shipping container tracking. Another additional element of this device is ACSD (Advanced Container Security Device), which signals whenever a container has been opened or has suffered damage. This component increases the security level. 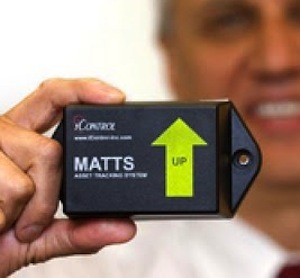 Communicating in-transit alerts to Customs and Border protection, MATTS is definitely helping the authorities to part of the problems involved with shipping container tracking. The MATTS producing company also tested it to a larger extent, in order to see if it can be used to communicate data internationally. The company is American and the project came as an urge to prevent eventual terrorist attacks. However, its benefits are accessible to any shipping company that wants to secure a safe, smooth transportation of goods. 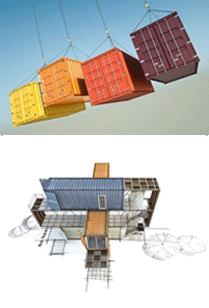 If you are interested in China shipping container tracking that's the page.